When an anonymous farmer in Michigan purchased his property roughly 30 years ago, the previous owner claimed that a massive rock on the property—being used as a doorstop at the time of the property transfer—was actually a meteorite. Now, he’s found out the space rock could make him rich! The meteorite had fallen in the 1930s, claimed the original farmer, with a “heck of a noise.” Instead of selling it, though, he had passed it on to the new owner when he sold the farm, claiming it was a part of the property. The new owner didn’t do anything about the claim for decades, continuing to use the huge chunk of space rock as a doorstop for years before finally selling the property. At that point, though, his curiosity got the best of him—and he decided to bring it in to be appraised, giving scientists at Central Michigan University quite the discovery! In 18 years of examining finds, Sirbescu said to CNN that she has rarely been given an actual meteorite to look at. “Meteor wrongs rather than ‘meteorites,’” she called them. When this one was put in front of her, though, she immediately knew that it was more than just a funny-looking rock. Weighing in at nearly 22 pounds (approx. 10 kg), the meteorite was the largest Sirbescu said she’d ever examined. It’s made of almost entirely iron , with about 12 percent nickel content—a much larger percentage than the majority of meteorites found. Based on the composition, scientists believe that this one is the remnants of a planet that shattered billions of years ago, orbiting our solar system for years before finally crashing down to earth when the farm’s original owner claims it arrived on his property in the 1930s. Mona Sirbescu, a professor of geology at Central Michigan, was floored when the man brought the meteorite in to be examined. The appraisal value of the meteorite is roughly $100,000, and the Smithsonian Institute has expressed interest in purchasing it from the man—who has promised to give 10 percent of the funds to Central Michigan University as a sort of service fee for helping him identify and appraise the mass. “A piece of the early solar system literally fell into our hands,” explained Dr. Sirbescu. Beginning their existence as space debris, typically from the remnants of exploded asteroids, most meteorites found on Earth originate from the Asteroid Belt , located between Mars and Jupiter. 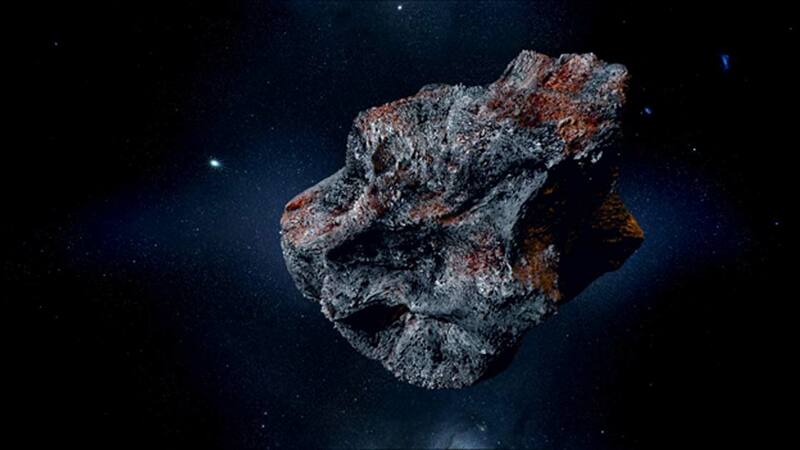 They may be comets or meteoroids made of rock or iron prior from outer space. Upon surviving the fall through the atmosphere and impacting the surface, they become meteorites. Around 5 to 10 meteorites are recovered by scientists per year. Most disintegrate while entering the atmosphere and create a small pit upon impact. Very few are large enough to cause an impact crater. Those that are large enough are called bolides, which are categorized as the brightest meteorites. The largest intact meteorite ever found is the Bola meteorite in Namibia, which is 2.7 meters (8.86 ft.) long and weighs a colossal 60 tonnes. Ancient Signs in the Sky: Did a Meteorite Change the Course of Christianity 2,000 Years Ago? Space Rock Mystery: Where Did the Fukang Meteorite Come From? The article, originally titled ‘ Farmer Discovers He’s Using a Meteorite As a Doorstop for Years, Worth $100,000 ’ was originally published on The Epoch Times and has been republished with permission.